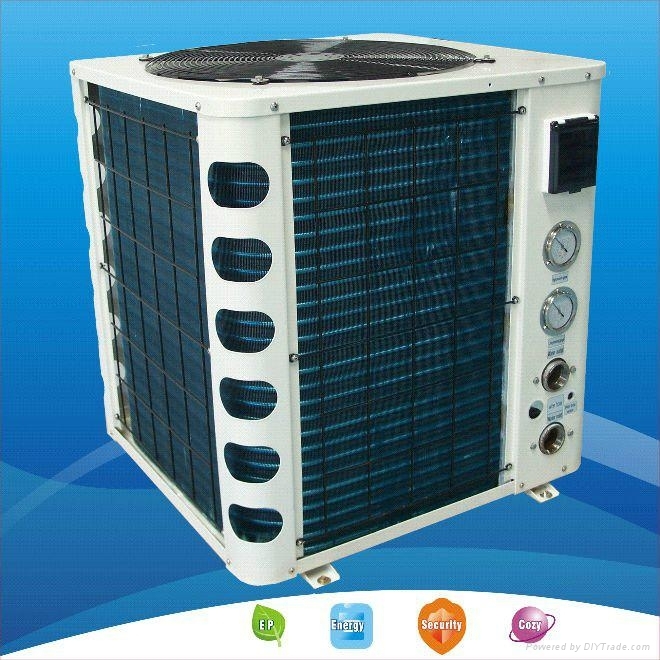 Yuelly domestic dc inverterter heat pump system provides house heating( hot water, floor heating, radiator) solution for residential and commercial application, especially in cold area. With the overall design, built-in almost all the pipeline components, for the user to save a lot of time to install, install one machine only had 1 / 5 of the time. YUELLY company has developed a strong program of energy-saving control unit to provide a stable and efficient for control.Strong function of second heat source to provide more options. In full accordance with EN 14511 requirements and testing. 1) Reliable compressor with R410a refrigerant. 3) Soft start control for single phase power supply models. 4) Water flow switch equipped for water flow protection. 5) Careful protection functions such as: high pressure, low pressure, overheating, overload ant freezing, phase order, discharge temperature, etc. 6) WILO water pump installed inside. 7) Flow switch for water flow protection. 8) Full sealed control box with water proof level IPX5. 9) Intelligent controller, and adjustment by quick mind microprocessor. 10) Air exchanger (fins- coil) with hydrophilic coating.